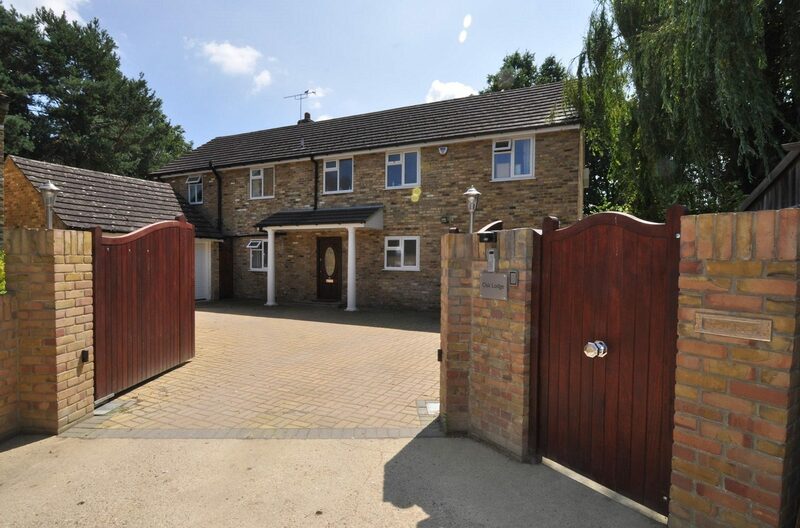 Set behind gates Ashburn Property Consultants are please to offer to the market this impressive five bedroom detached house positioned on towards the end of a private road with panoramic rear views across the Thames Valley. 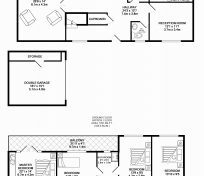 The generous accommodation extends to approximately 3000 square feet and is arranged over two floors and is versatile and flexible in its layout with the balcony taking full advantage of the views. 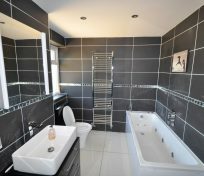 Occupying a desirable plot, Oakwood Lodge is an impressive property completed to a high specification and offering approximately 3000sq. 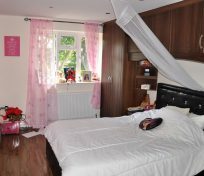 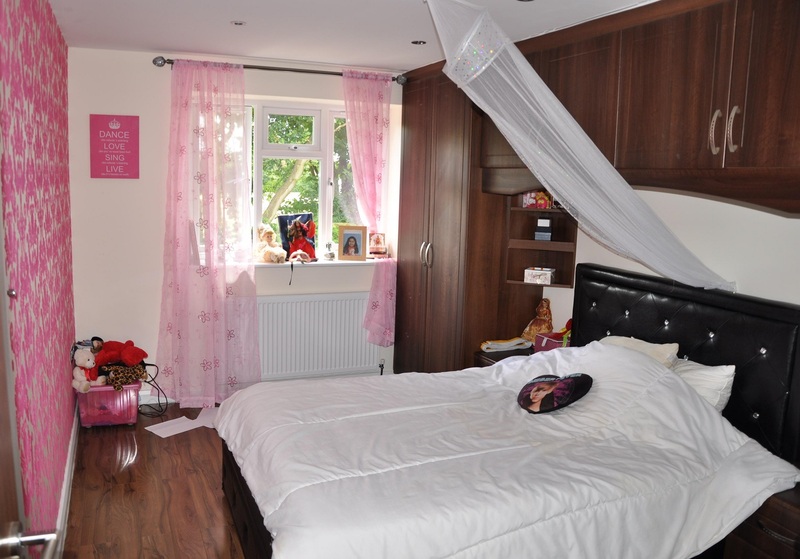 ft. of elegant and luxurious accommodation arranged over two floors. 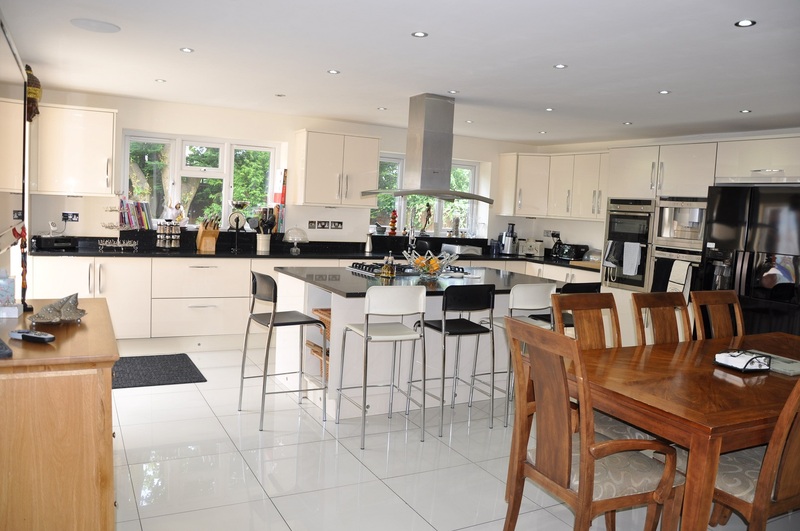 From the solid walnut carpentry throughout to the bespoke kitchen and fitted s, this is a house which has been designed to incorporate contemporary comforts and quality fittings. 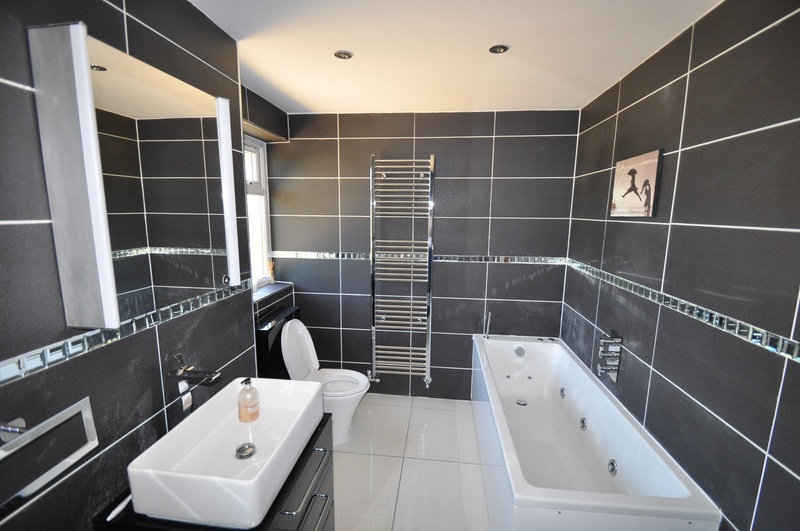 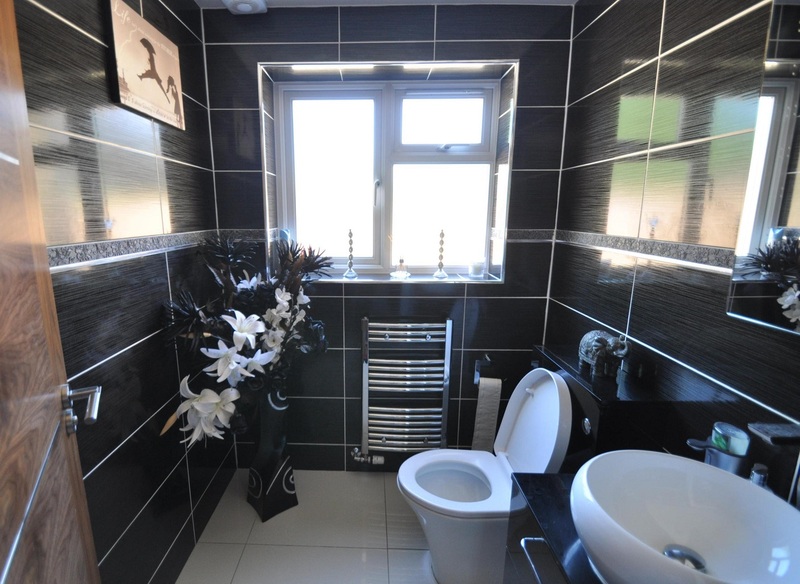 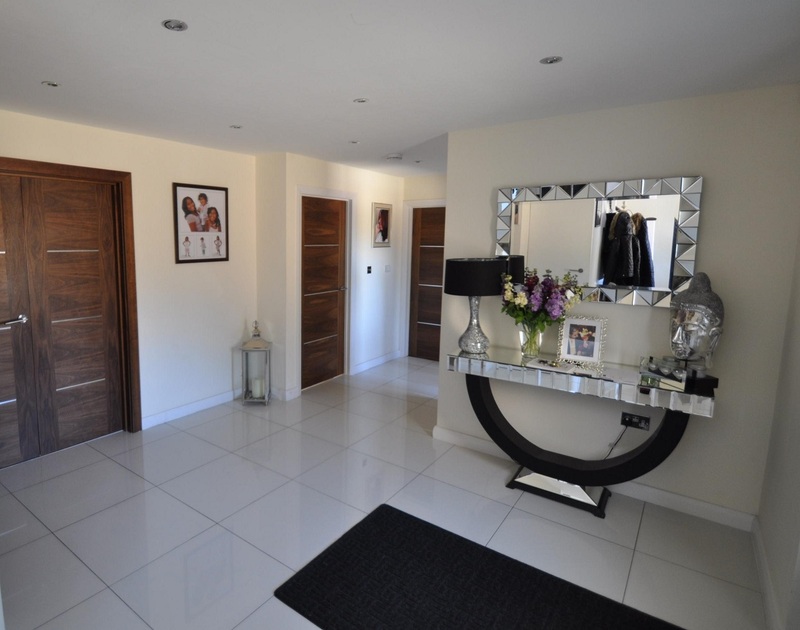 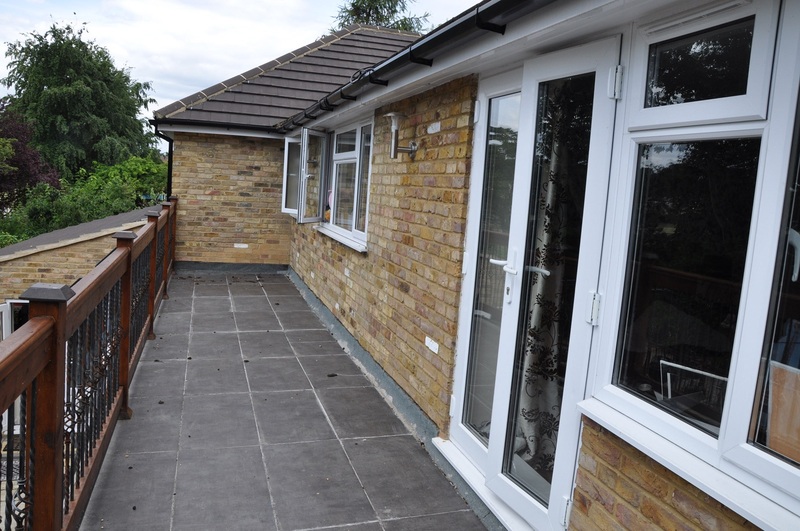 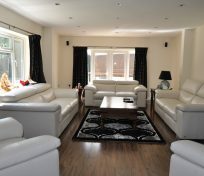 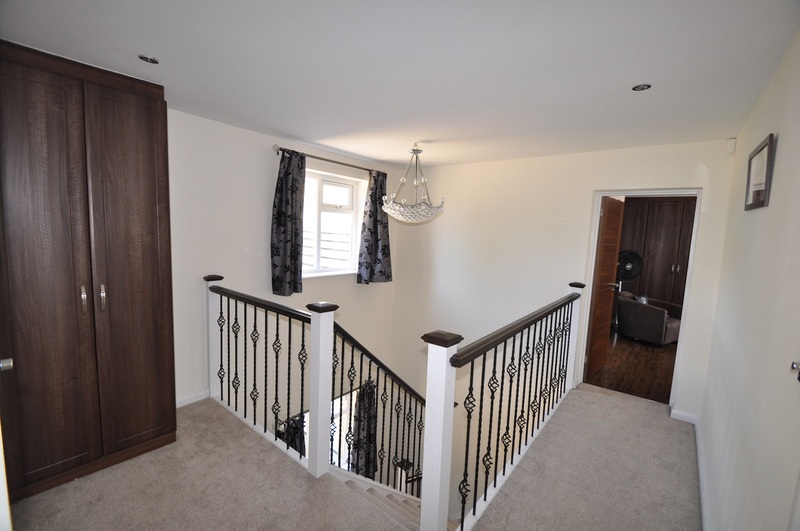 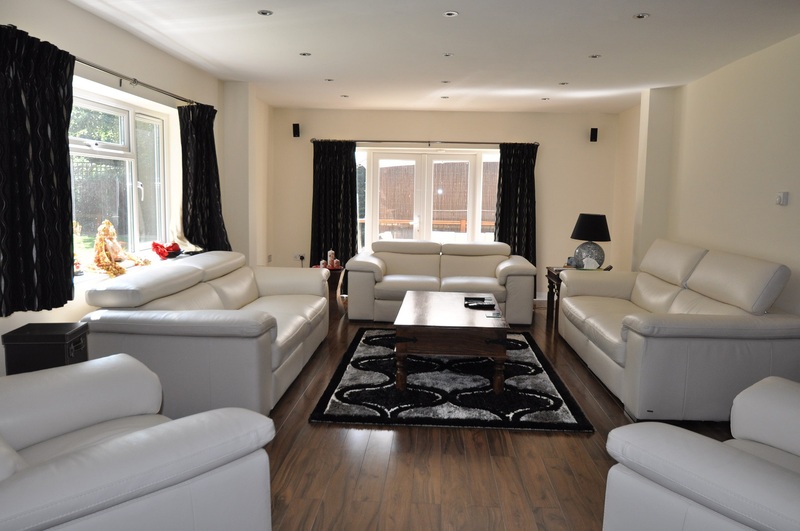 The many features of the property include high end appliances / fitments, polished porcelian tiled floors to the kitchen/breakfast room and utility room, under-floor heating, walnut doors and video entry phone system. 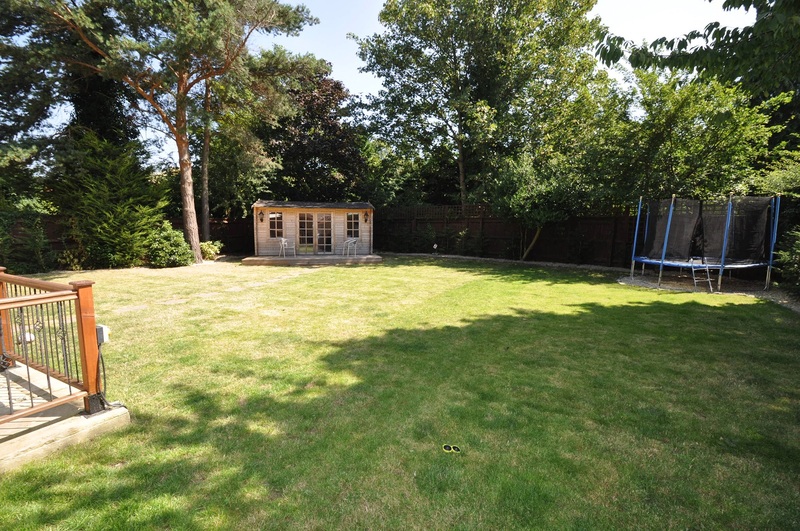 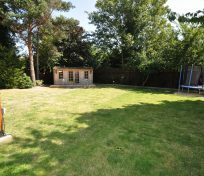 The ground floor accommodation is arranged to provide excellent entertaining space with the principal reception rooms opening off the spacious reception hall and enjoying direct access to the rear garden via French doors. 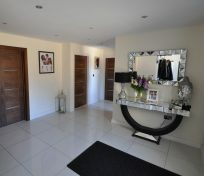 The reception hall has an attractive polished marble floor with decorative inset panels and an oak staircase rises to the galleried first and second floor landings. 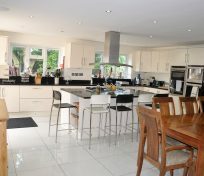 There is a stylish kitchen/breakfast room which has been individually designed and comprehensively fitted with a range of units, star galaxy granite worktops a good-sized central island with inset six burner hob and integral appliances including a ‘Neff’ range. 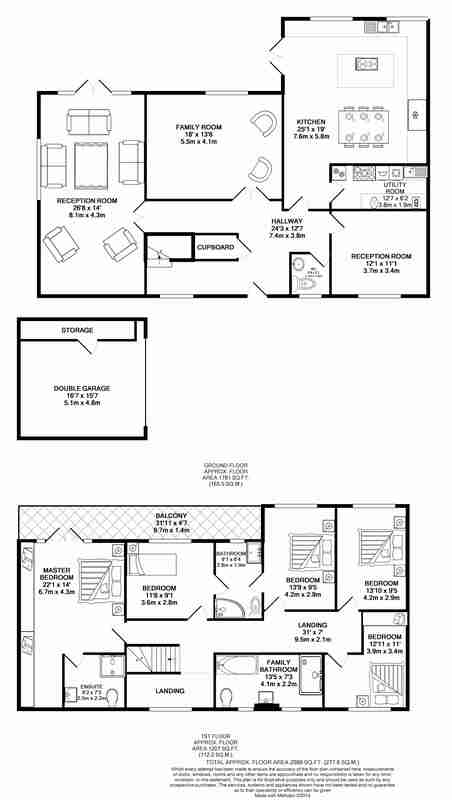 A separate utility room / kitchenette offers an informal kitchen area with useful additional storage. 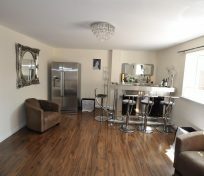 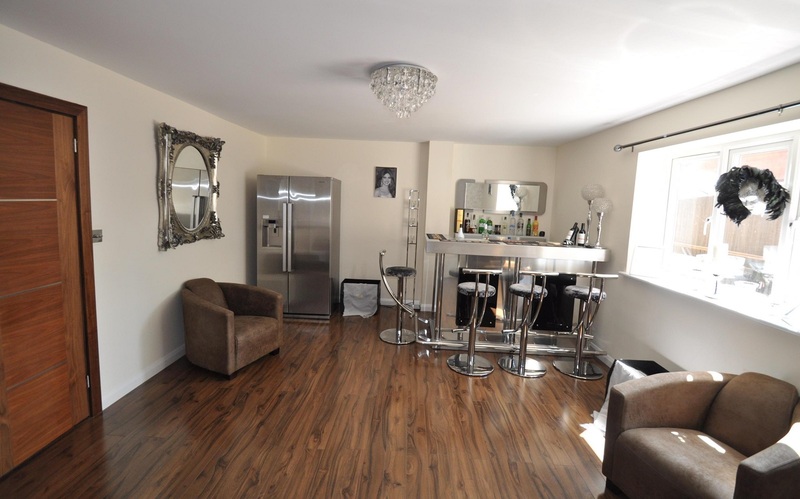 Adjacent to the kitchen is a well-fitted Cinema / TV. 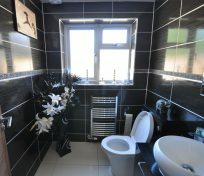 There are five bedrooms located on the first floor, including the master bedroom with a balcony overlooking the garden (with panoramic views of the Cricket Club and fields) which benefiting from an en suite dressing room and a luxurious en suite bathroom. 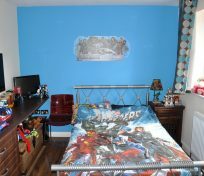 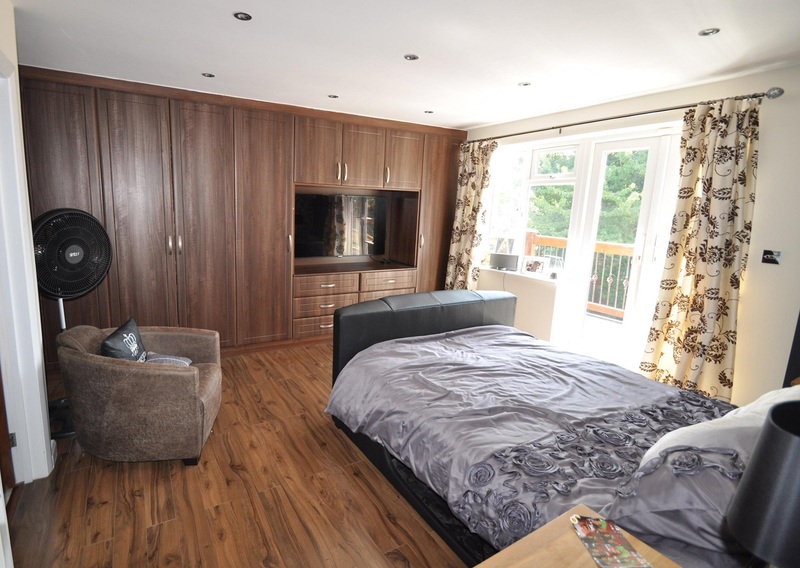 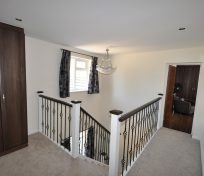 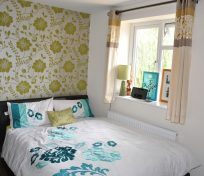 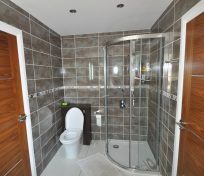 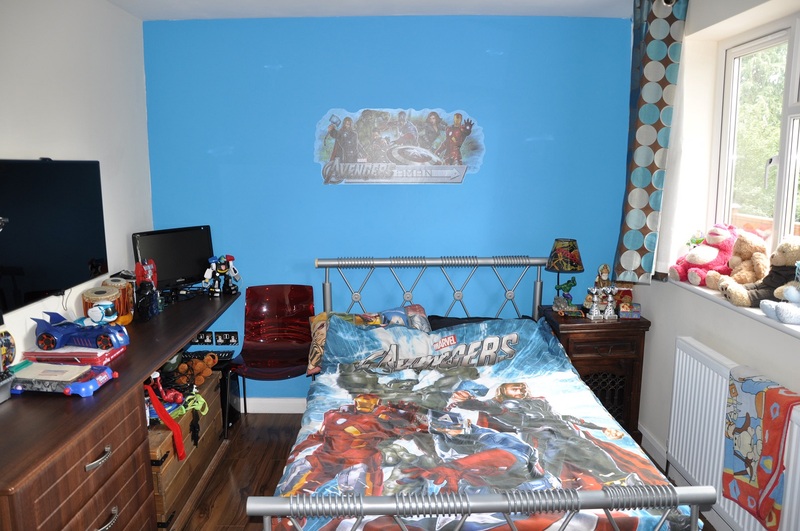 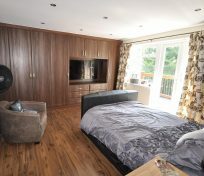 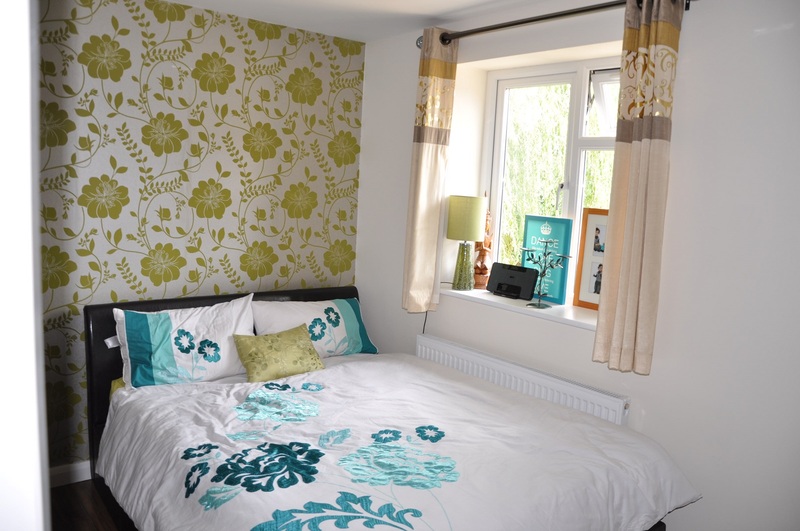 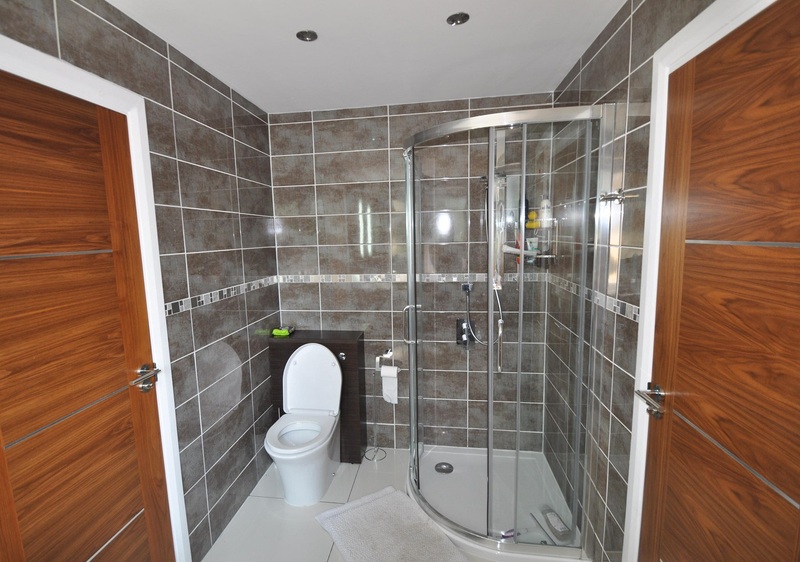 There are four further well-appointed bedrooms, all with fitted wardrobes and two of which have a Jack & Jill bathroom a further family bathroom, all with superior fittings. 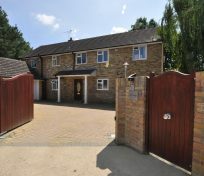 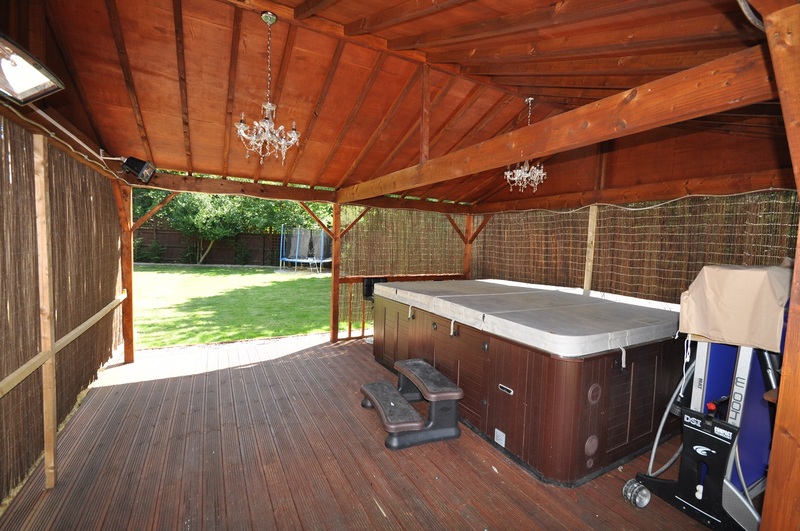 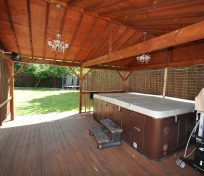 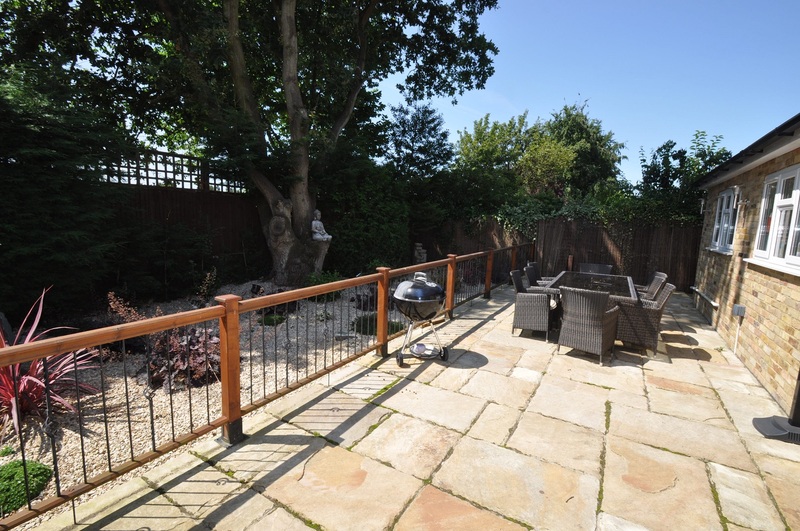 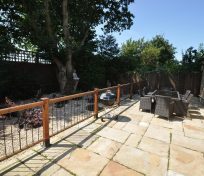 The property is approached via electronically operated solid wood gates which open onto block paved driveway leading to a parking area to the front of the house and the integral double garage. 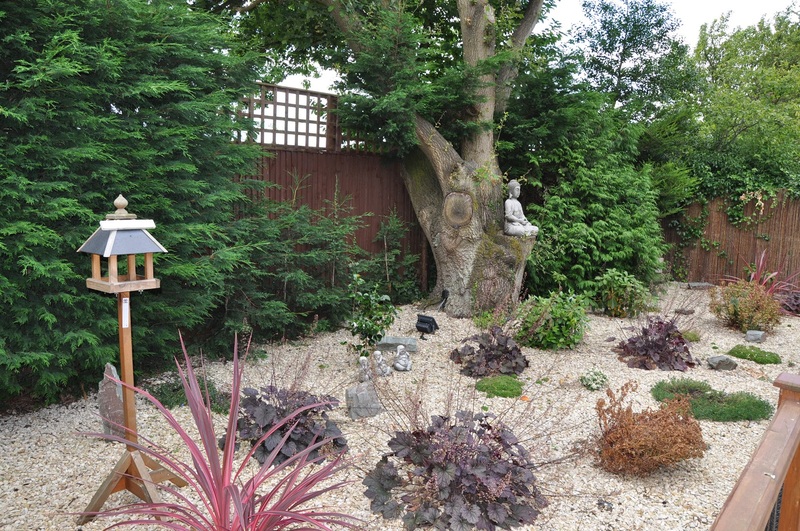 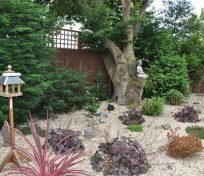 The enclosed garden has been planted with conifer hedging and benefits from mature trees and shrubs; to the rear, the garden is principally laid to lawn with further mature shrubs and trees providing privacy and seclusion. 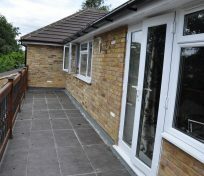 A paved sun terrace spanning the entire width of the house is ideal for ‘al fresco’ dining and relaxation.